Life's little bits and bobs – Life experience, movies, beauty, culture, lifestyle. Life experience, movies, beauty, culture, lifestyle. After a long time of waiting because I missed the movie in the theater, I finally watched the critically acclaimed horror movie, The Witch. The film is about a religious christian family in New England who are abandoned from the village for being overly religious. They move to a cottage next to the woods and try to live on the limited resources provided by nature. After the family baby, Samuel, goes missing, everyone in the family assumes many ideas about where and why Samuel may have disappeared. The twin kids claim to be able to talk to a black sheep in the barn, Philip, who tells them their elder sister, Thomasin, is a witch. The mother believes that the woods are evil and bringing suffering to the family. The father is filled with guilt about bringing the family to live in such desperate circumstances. There is a lot of pointing fingers, everyone questioning each other’s faith and accusing the other of consorting with the Devil. Things start falling apart, family members disappearing one by one, and at one point you start doubting yourself about what’s real and what’s not. It’s very dark. And I mean both metaphorically and literally. The film has got a grey colour scheme which lends it an eerie, broody, somber undercurrent throughout. The setting of the woods is daunting with tall trees that watch every move of their new neighbours and hide the ugly truth beyond. The Old English language and accent used in the film are rather hard to understand and there were many times when I had to rewind the film to listen to the dialogues again. The costumes and language successfully adds authenticity to the time period which may have been hard to achieve with just the natural settings of the movie. The script is very clever and deals with the themes of faith, suspicion, superstition and family in a delicate, subdued manner while keeping the haunted feeling of a horror film intact. It shows what strong, obsessive faith is capable of as the characters desperately try to show their sincerity towards God. In fact, it is not a mythological creature but the results of this obsessiveness and superstition of all characters that is meant to scare the audience. The film reminds us of a time when superstitions among people were so strong that they overtook family love. This is an unusual horror movie with an unusual setting that has no jump scares or gory horror to scare you. Instead, it plays with your mind introducing various perspectives, themes and possibility of a traditionally scary mythical creature at different stages of the movie. You may not find it scary at all in fact. But its thrilling nonetheless. And you will not regret watching it. The first time I ever watched a film in theater is when i was around 4-5 years old. This was the first Jurassic Park. I remember being very excited (and nervous) to go to a theater for the first time and asking my mum how we will find our seats in the dark. I was nervous if the dinosaurs were going to come out of the screen and eat me. The whole experience was surreal and like a dream. Perhaps the most intriguing genre for me are Sci-fi/ mystery thrillers. They seem to leave an impression on my mind and I am left thinking about those films for many days after. Another genre that I love is drama, especially period drama. Comedy used to be one of my favourite genres but I feel we live in a rather disappointing era of comedy films. I am not generally interested in fantasy films and it is only because my husband is a fantasy geek that I have started watching fantasy franchises. I think that franchise that has consistently intrigued me with their clever filmmaking is Before Sunrise. Another favourite franchise is Kung Fu Panda. 5. Remakes/reboots – for or against? Always for. I like getting different perspectives on the same subject matter by different people. But if the reboot does not add anything new to the films, it seems pointless to me. Now that’s a question! It’s a Bollywood movie that I have grown up loving and watching many times. The name is Hum Aapke Hai Kaun. It’s a lovely family movie about indian celebrations. 8. A film that you have seen more than 3 times? So many! But Notting Hill is one of my favourites. 10. Favorite foreign language (non-English) film? 11.Favorite movie from the year you were born? None so far. Because I am still catching up with old movies. English is not my first language and my interest in films has only developed recently so I have a lot to catch up on. What do you absolutely love to do and cannot get enough of? What is the biggest change that you have made or want to make in your own life? Which movie(s) has/have had the biggest impact on you? Which of the economic, social or environment issues do you feel most passionate about? If you had the chance to be friends with any celebrity (political, social, business, movie star,anyone), who would it be and why? If you had a time machine, would you go back in time or forward in time? What is the next milestone that you want to achieve in your life? Recently I have got into a mode of watching classic films from the 1950s and 1960s. With this new found interest in old movies, I decided to watch Citizen Kane and see what the fuss is all about. Reviewing an old movie is so much more difficult than reviewing a new one. While watching such classics, one really gets a feel of how far we have developed as an audience in our understanding of movies and how we accept things like colour, edits, music and special effects in recent films as standard filmmaking techniques that have always been there. It is hard to understand the importance of these classic films for the time they were made in and what they represented of and to the culture and lifestyle of those times. Citizen Kane tells a timeless tale of a very popular, very rich businessman, his journey to fame and to his demise. The film constantly goes backwards and forwards in time and is narrated by different characters giving their perspective on Kane while relaying his biography. Despite the change in narration several times during the movie, Kane remains the central character and the audience is always engaged trying to figure out the mystery behind Kane’s last words ‘Rosebud’. The entire film has a melancholic undertone that points towards a tragic ending when the sad truth about ‘Rosebud’ is revealed. What the film succeeds to do (and many contemporary films have failed at this) is to create interest and intrigue, if not empathy, for the rather unscrupulous character of Kane among the audience. This has meant that the film does not solely rely on the mystery of ‘Rosebud’ at the end but is also able to showcase the drama, the extravagance, and the characters of the Kane story with equal importance. Needless to say, Welles plays the character of Kane brilliantly well. The makeup is so effective that I wondered if the old Kane was played by a different actor. The supporting characters are also given sufficient depth to create interest and are played well by the actors. The filmmaking style is inconsistent at times when the beginning of the movie seems to a haunted castle from a horror movie, transcending to mystery thriller with the death of Kane, then becoming a news story as shown on TV, changing into drama, then romantic drama, and finally a tragedy. But the transition from one style to another always remains smooth and the audience rarely realises these genre changes. The editing has been done in a way that explores different types of filmmaking techniques especially with the overlapping dialogue within the movie and the journalistic news story at the start of the movie. The script is undoubtedly well-written and has many popular dialogues that make this movie a classic. I wasn’t a big fan of the music. Perhaps I’m just used to soft background music rather than the loud abrupt one they had in the 1950s. Or perhaps this is one of those movies that you need to watch again to fully appreciate the importance and relevance of the background score. The film had many memorable scenes- my favourite ones being the scene where Kane says his last words, the scene when Kane’s first wife confronts him about his affair and the scene when Kane takes out his rage on Susan’s bedroom when she decides to leave him. Overall, I found the movie very impressive as a film critic because the technical details of filmmaking are novel and flawless for the time. As an audience the film is memorable because of its narrative style and remarkable script. Definitely one of the must watch movies of all time. Set in the time of Holocaust, the plot of Son of Saul seems simple. Saul, a Sonderkommando, decides to have a traditional Jewish burial for the body of a boy he believes to be his son. Sonderkommandos are Jewish prisoners who have been given the job of operating the gas chambers in the Nazi camps, cleaning up after the act, taking care of the dead bodies and managing all the logistics that comes with killing people in gas chambers. These people have a special status because they have been chosen for this important job but they are never indispensable. And although this special status means living for a few days longer, their life is perhaps more difficult than the other Jews who are killed immediately. These Sonderkommandos must watch several generations of people from their community dying a horrible death everyday knowing that the same fate awaits them. Working in the camps has made these people lose all their emotional hangups and attachments and everything is seen purely in terms of choosing between your own life and death. The hopelessness that comes with being a Sonderkommando is seen in the empty eyes of Saul in the opening scene. When he notices the boy who is struggling with his last breaths after being through the awful ordeal of the gas chamber, there is a sudden spark of urgency, a sense of purpose that awakens within him. Over the course of the film, we come to understand that the burial of this boy means more than just a religious ritual. It is a symbol of a frantic quest for penance and making up for all the guilt that comes with being a Sonderkommando. The act is also symbolic of the defiance of the Nazi propaganda and a refusal to be eliminated as the Germans intend their community to be. This final act of Saul is a desperate attempt to make himself human again. It is not just the plot but the context and setting of the movie that make it so brilliant. Shown from the limited perspective of Saul, the horrors of the concentration camp are only visible in the background but they are just as heartbreaking as any other Holocaust documentary you might watch. The clever camera work ensures that the perspective of Saul adds another dimension of desperation, tragedy and claustrophobia to these events. Saul’s obsessiveness about this burial can be frustrating at times and indeed, it is confusing that Saul is obsessed with finding meaning in having a funeral for a seemingly unknown boy but remains uninterested in the planned uprising against the Germans. There is a suggestion that Saul may have lost his mental balance, that he is so overwhelmed by the guilt and desperation of his situation that his meaning for existence has boiled down to doing right for his “son”. I found this explanation very believable and by showing this, the film succeeds in exploring the subject of the mental torture of the Jews in the Holocaust and giving it as much importance as their physical torture in the camps. This is a movie that treats the subject of Holocaust with the solemnity and respect that it deserves while still succeeding in making it engrossing for the audience. Some may consider this a hard watch, and it is, but this is a movie that is important to watch for its substance, the superior technical film-making skills and the handling of its grim subject matter. It is a hard hitting movie that leaves an impact for days after you have watched it and for me, it is the best Holocaust movie that I have seen and one of the most important films of this decade. I have to admit that I went into this movie with very high expectations. Guilty of looking at the high rating of the film on Imdb before I went in and knowing that it has been adapted from a rather popular novel, I was excited to enjoy a good cold war romantic drama. Despite the rather dull start and mediocre acting of the lead male actor (Sam Reid), I patiently waited for the film to take off and catch my attention with the mystery of the spy business that went on during the cold war period. It wasn’t long before I realised that this movie is not going anywhere in particular and as hard as I might try, I wasn’t invested in the characters and the romantic chemistry that the film desperately tried to portray. My husband had dozed off half way through the movie and I had to force myself to sit through figuring out the puzzle pieces of this anachronic plot executed with poor direction and a weak script. The summary of the plot is that a high ranking government official of Russia (Alexander) falls for a seemingly intriguing young woman (Katya) who is in fact working as a spy for America. These two characters follow opposite political ideologies but find themselves attracted to each other as Katya steals important state secrets from Alexander. They get married and soon after, Katya reveals her dirty secret to her husband. Both of them realize that the only way to live a happily married life is to leave the communist state and escape to the Free world of America and Katya convinces Alexander to defect from the Russian government. And so the tragedy transpires that the Russian official who never wanted to leave Russia manages to escape while the anti-communist wifey who had been preparing her escape for the large part of her life is left in the lurch. The rest of the movie reveals the rest of the events of Katya’s life that led to her tragic fate. Parallel to this, another story continues of the quest undertaken by Katya’s neice (Don’t ask how she comes into picture. Just take their word for it that she looks exactly like Katya) to find the truth about what happened to Aunty Katya after she was left behind. This film really let me down as a period drama because the interesting setting of Russia in the Cold War period is hardly conveyed in the movie. Certainly, the essential elements of the Russian Government and the prevalence of communist propaganda are indicated in the places that were necessary to make the plot but this is never explored further than that. People in Russia cannot afford a whole chicken and Alexander decides to make one for Katya for a dinner date. Katya comments on this but Alexander suggests it is a romantic gesture for her and that’s that. I believe that a large part of what makes this romance interesting is the ideological differences between them. But the couple is never shown to have any arguments or discussion about how one’s world is so different from the other’s. As both these characters are shown to be attached to their ideologies from a young age, it is difficult to believe that both of them accept each other without any apparent differences. The entire focus of Katya and Alexander’s chemistry remains very physical that seems to want to communicate the deep love and affection they have for each other but appears superficial. Even when Katya reveals that she is a spy, the betrayal is mainly shown as a betrayal of love and not that of ideology. Alexander (uncharacteristically) readily forgives Katya for both these betrayals because, you know, love triumphs ideology. The film fails to develop a depth of character or depth of emotion between these two protagonists and the audience never feels attached to either of them. The romance between Katya and Alexander could have been set in any time period showing rivalry between any countries and it would have been exactly the same because the relevance of the Cold War period is never discussed or examined. This is perhaps the most disappointing period drama that I have watched. Although the film has a good plot at hand, a large part of the movie relies on gimmicks to generate the curiosity and interest of the audience. The lookalike niece seems intriguing at first but after the initial fascination with this character, her story is rather dull and boring. The anachronic plot creates some mystery and the movie heavily relies on the final act of the revelation of “What happened to Katya?”. Unfortunately, I was never invested enough in Katya’s story to care what happened to her. The film tries to be a classic tragic love story but feels empty at its core. This movie is just about as interesting as putting a puzzle together except that you know what the answer to the puzzle is. If that’s the case the experience of solving the puzzle should be enjoyable. In this case, it’s not. After having spent an year in anticipation and looping ‘mai tera hai re jabra, hai re jabra fan ho gaya’ for a month, finally the day came when FAN finally released. And you cannot miss first day screening of an SRK movie. After a string of hopeless movies (chennai express, happy new year and dilwale – #fuckyourohitshetty ) finally SRK is back with all his intensity. I watched this movie about two weeks back and got enough time to mull over and decide whether I liked it or not. After having thought about it for such a long time, I realised this film might actually be two movies put together into one. And I liked one of those movies better than the other. Technically speaking, the movie is very well made. Despite the obvious glitch in the story, the audience accepts it unquestioningly because the movie seamlessly transcends from the inside to the outside. The tone of the movie remains cryptic and enthralling throughout. It was only after the movie was finished did I realise that the two separate stories of inside the bunker and outside the bunker didn’t make much sense. 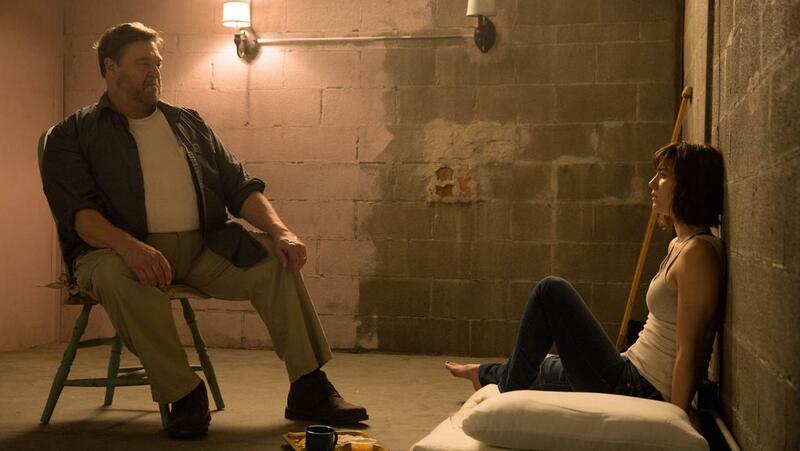 The actors, John Goodman, Mary Elizabeth Winstead and John Gallagher Jr., are all very good and every bit of dialogue, every bit of action and every bit of emotion are perfectly placed, directed and delivered. It is the kind of movie that makes you fascinated the first time you watch it and keeps you interested enough to watch many times again just to understand and re-live how each part of the puzzle fits into the final solution from start to finish. This is truly thrilling ride albeit the rather disappointing end. But then it is the journey that matters, not the destination, isn’t it? This movie is Disney’s Frozen gone bad, and not in a good way. Set as a prequel and a sequel to Snow White and the Huntsman, this movie is the story of Ravenna’s (somewhat lesser evil) sister, Freya (Emily Blunt), who uses her powers to create an army of Huntsmen who are raised as soldiers to aid her ascendancy to that of Queen of the North. Chris Hemsworth and Jessica Chastain find themselves a part of this army and fall for each other. Of course, love is not allowed in evil Elsa’s kingdom and they are separated. The movie switches to sequel mode set in the time after Ravenna has been defeated by the Huntsman. They find that the magic mirror is a source of great power and has ruined the ‘happily ever after’ ending of Snow White. The mirror must be found and destroyed by the Huntsman. Meanwhile, Freya is in the pursuit of this mirror herself to increase her powers. The rest of the movie continues with the search for the mirror and the “Winter’s War” with the supposedly evil queen, Freya. It’s average. There is nothing in particular to complain about that is especially bad but aside from the compelling Charlize Theron as the evil sorceress, there is nothing memorable. Emily Blunt is heavily underused. For one, she doesn’t look evil. You see the dramatic make-up and costume of Ravenna and in comparison, Freya comes across as pretty weak. Emily Blunt is a fantastic actor and I would have liked to see her as more dramatic. Unfortunately, in this instance, she gives a lacklustre performance. I understand her character is supposed to be in the grey area but when I compare it to another similar evil queen, Maleficent, I feel disappointed. Chris Hemsworth is perhaps the most disappointing with the terrible Scottish accent that I couldn’t understand through most of the film. Jessica Chastain does her best to save the movie while playing the strong, independent, female protagonist but the script and pace of the movie fails to deliver. It is a slow film that starts strong with an interesting backdrop showing the prequel to the Snow White episode but it soon loses its rhythm and direction. The second act is all over the place with jokes that no one laughed at as the audience desperately waited for the ‘Winter’s War’ to begin. The final act gains pace but feels rushed going headlong into it’s rather unsurprising ending. For me, the depiction of Freya as ‘not so evil after all’ is not justified or explained enough. Overall, this is a film that wants to be dark but loses its focus as it tries to be ‘Disney’ at the same time. The plot is great but is unfortunately let down by a mediocre script. But is this a talent or a choice? Could anyone do this or am I making it so appear? Are we not all sailing on the same boat? Waiting for that inspiring moment where it might make sense again? I only hope I can hold on to it before it flies by again. It is only fair that after my last post about my problems with India, I write about things I absolutely love about India. A friend pointed out that despite all the hatred, I might still be patriotic towards the country and I wanted to explore this further. Besides, this post will be like a stress therapy for my mind if I focus on the positive side of things. I have tried to examine positive things with each point that I had made against India in the previous post. I wrote in the last post about how I hate women’s inequality for women in India. I am going to counter this by saying that the Indian society has an inherent respect for women where they are considered the symbols for purity (Goddess Ganga), wealth (Goddess Laxmi), fertility (Goddess Parvati), knowledge (Goddess Saraswati), patriotism (Bharat Mata) and many more. These Goddesses are as powerful as any of the male Gods in mythology and are adored throughout India. Every person in India is taught to acknowledge and respect women for their being. There are many countries where historically the men were supposed to have a higher status in the society and women lacked many civil rights. In comparison, India has always considered a man to be incomplete without a woman. These values have a deep meaning for Indians and it reflects in their attitude towards women in many ways. For example, an Indian man would generally always speak with decency without the use of any foul language in front of a woman. Also, in some regions, if a man touches a woman by its feet by mistake, they would sincerely apologise and say a little prayer in their mind for forgiveness from God. In Sikhism, a man and a woman have equal rights for everything. The Sikh scriptures consider both genders as having the same soul. Within the Constitution, women have been given equal rights as men in many aspects and India is one of the few countries that have had an active role of women in politics. While many “developed” countries are yet to elect female Heads of Government, India has had a woman Prime Minister, a woman President, a woman Speaker, a woman Leader of Opposition and many many women heads of government in various Ministries, villages, cities, and states. And these women in politics are never considered to be subordinate to men by their colleagues or by the general public. Unfortunately, this respect for women is often translated by mean as needing protection of different forms of symbolism for women. The protective instinct is shown by using power or control and that’s where the problem of inequality comes into place. However, the basic premise of respect of women in the society remains the same. I love that Indians respect women. The only change required is the translation of this respect into attitudes towards women. While I complained about the rising fundamentalism in India in my previous post, I must counter this by suggesting that I love the fact that India is so spiritual and lacks materialism. Of course, one could argue that India may be becoming more and more material by the day. But the fact is that when I compare the greed for money, power and status in many western countries with the Indian society, I find that Indians are much more satisfied and happy with what they have. It is not that Indians lack goals in life or may not be able to achieve wealth and status. They do have goals but those goals are beyond just earning lots of money and owning mansions. People generally just want to be satisfied with their life, have a loving family and not worry about providing some basic necessities of good food, good clothes and a big enough house. I understand that a part of the reason for such humble ambitions is that people in India often see much worse conditions around them (homelessness, poverty, unemployment). As a result, they may think that they always feel thankful for what they have. But I believe that a large part of the reason for non-materialism in India is spirituality and importance given to inner peace, karma and charity. Almost every Indian donates to charity if they can, whether it be through charitable or religious organisations. They genuinely believe that they should share what they have with people who don’t. And at the end of the day, all Indians want is to have a peaceful death, and in case of many Hindus, a humble death with moksha (nirvana) at the bank of River Ganges in Varanasi. This attitude of India is inspirational for the entire world. 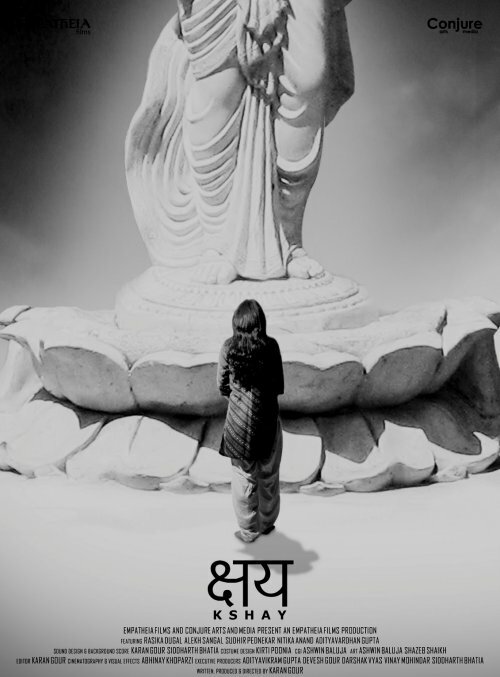 Love this documentary about Varanasi and it captures spirituality in India beautifully. I absolutely love Indian mythology. I love the stories of various Hindu Gods and Goddesses and their life on earth and Heaven. I absolutely love the epics of Ramayana and Mahabharata. And the stories of Sikh gurus, the Panj Pyaare, and other religious texts in Sikhism have so much to teach. Take any faith in India, there is so much to learn from them. All of them contain such deep analysis of human behaviour and human conscience. I feel sad when I hear people who are not aware of these wonderful stories and choose to ignore them by saying they are morally biased. I think that there is a deliberate point made in these stories to show the various aspects of Good and Evil. I love the fact that Indian mythology doesn’t have any pure white or pure black characters. Every character is grey, just like humans, and that’s what makes it so interesting to me. In fact, I think that if people would read and analyse these religious texts, stories and scriptures properly, they would learn so much about how to deal with all the social issues that I had pointed out in my last post. While I criticized India in the last post for not recognising the existence or rights of LGBT community, I counter this by appreciating the fact that India is one of the very few countries that genuinely respect and recognise the Hijra community. Hijra is a community of people who do not identify themselves as a man or a woman and often dress in feminine clothes. Recently in 2014, the Supreme Court officially declared India as having three genders- Male, Female and Transgender. Here, the definition of transgender is the Hijra community and they are slightly different from the Western definition of transgender. 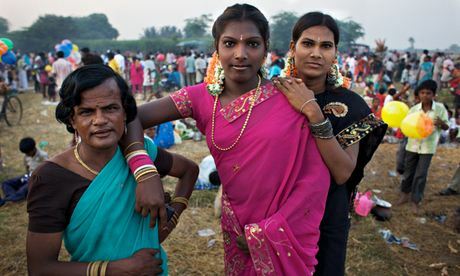 I love that Hijras are welcomed in India as a part of their culture. There are many instances in Indian mythology where transgenders had such important roles in epics such as Mahabharata. In fact, the ancient Indian scriptures recognise many many more types of genders than these three. In all family celebrations in India, the Hijra community are welcomed to give their blessings to the family. It is considered to be bad luck to refuse to acknowledge or welcome Hijras in your home for such occasions. And these traditions have been going on for a long time in India’s history. While the West has started recognising the other gender only recently, the recognition of transgenders in India has long been a part of the Indian society and it is indeed something that India should be very proud of. I love the fact that Indian population is so curious and analytical about other cultures. I make this point against the argument I gave for racism in my last post. People in India are genuinely interested in learning about other cultures, lifestyles, and history. Given that the Indian education system only covers a small part of the world history, Indians are very well aware of the historical events of their own country as well the world. And if they are not aware, they are curious to know, to understand and to analyse. Perhaps this has to do with the inherent inquisitiveness of the Indian society. I mean every Indian family knows how everyone in India indulges in gossips about everyone they know. But the good thing is that this inquisitiveness is also translated in learning. And there is a genuine respect for education, learning and work in India. Everyone learns and works in India. People want to learn and they want to work. They don’t want to sit at home. And this may be the reason why Indians are such fast learners and are well able to compete on an international scale. Just the fact that India has adopted the English language in their daily lifestyle seamlessly shows their brilliant competence in learning a language that is not natively spoken in the country. Besides just being curious about the world, Indians are curious about everything. When I compare the knowledge and awareness of people in other countries with that of Indians, Indians are clearly more aware, more learned, and they understand the importance of knowledge. The young population in India at present is especially curious about the world, about the social and economic issues, about what’s right and what’s wrong and they try to take in as much information as they can. Unlike before, India is not in a separate bubble any more but is a part of a global community. While Bollywood largely reigns over the Indian movie industry, the independent films, the low and medium-budget movies without big banners or actor brands have been offering the genuinely good, socially developed and technically sound movies for many years. While I agree that Bollywood also makes a few movies that are brilliant and have tried to bring awareness about many social issues, it is the independent films that have pioneered a paradigm change in the Indian film industry. Some of my favourite movies that are not Bollywood and are brilliant in their filmmaking and acting are Water, Lunchbox, Kshay, Filmistaan, Udaan, Ship of Theseus and many more. The actors in these movies are also very socially aware and genuinely put in effort into the art of acting. I love the indie movie scene in India and I cant wait for it to catch up with Bollywood so that many more people in India can appreciate it. Indian food is something that I miss soooo much! The complexity of flavours and techniques that is involved in Indian food across the country is amazing. And there is not one country in the world where Indian food is not available. 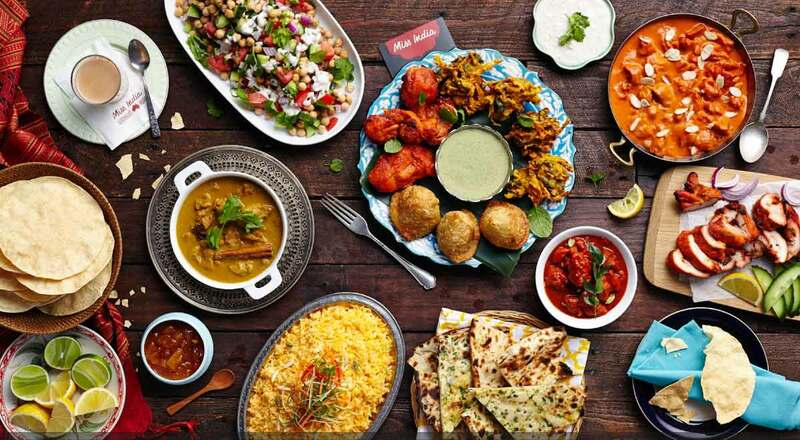 I crave Indian food all the time I am outside India and my plans to visit India are always accompanied by a list of restaurants and chat stalls that I must visit. And the celebrations in India for every festival or family event are so special and meaningful. I love learning about the customs related to every religious event and it’s genuinely awesome to see people celebrating different festivals and events in their own unique way. These events bring families and people together. I absolutely love that. Of course, my family and friends are the things I miss the most about India and these celebrations give me a pretext to visit them and celebrate with them. I love the informal economy of India that includes the various bazaars at night and the street food stalls on the roads that sell local goods and services for fraction of a price. 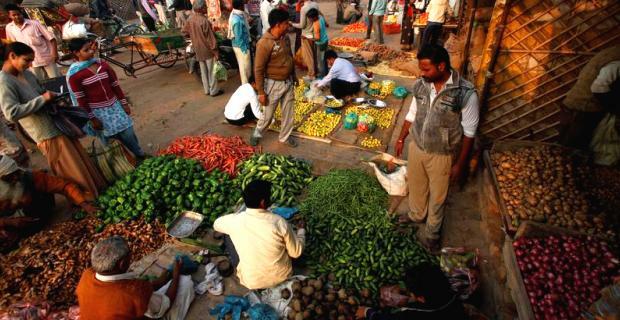 This informal economy brings a character to the Indian cities and villages. I used to love the weekly ‘budh-bazaar’ (Wednesday market) in my local neighbourhood that was set up by local individuals every Wednesday night. You could get almost everything under the sun. And such great food! I know that lots of cities now have shopping malls and organised markets. But I would still prefer to go to one of these weekly markets because of all their energy and humbleness. My bua (aunt) introduced me to this rags market in Delhi which is so brilliant to buy clothes at fraction of a price. And you’re helping local people here by buying those clothes. I love visiting that place. With the growing popularity of shopping malls, informal economy has a diminshed importance now. I feel that it is the informal economy that brings the humility and non-materialism among the Indian people and I genuinely respect that. While I complained about Indians being complacent in my last post, here I argue that Indians are hopeful and optimistic. Despite all the criticism for India, for the increasing poverty, unemployment. social issues and the ever-widening gap between rich and poor, Indians remain hopeful to be able to address this and lead a good life. They don’t want to be exactly like Western nations. They want to grow in their own way, keeping their basic Indian values intact. The reason for the intolerance debate (and all the reactions to it) is that Indians hope to make a difference by giving their perspective about things. Despite all the corruption and government scandals, Indians remain hopeful and take efforts to operate in this confusing economy. It is this Hope, in fact, that India has grown so much and made a respectful place for itself in the global economy. Hope helps India grow, despite the hopelessness of the Indian politics. This was an exercise in finding the positive in the often discussed negativeness about India. It has made me realise that while criticism is important, criticism without hope is pointless. I have understood that patriotism is something that is deeply personal and I do care for India at some level. These things I love about India are things that I would fight for. Even if people think I don’t have a right to point out the mistakes that India might be making, I need to fight so that these positive things of India are not consumed by the ever-increasing negatives.